By now, I feel like most people have come across and heard of the New Jersey band Real Estate. Their music evokes a hot, hazy summer day where you probably spent more of less of that day walking on the beach in the company of good friends, old and new alike. The band I have for you all today, in terms of band members, is practically the same exact thing as Real Estate. 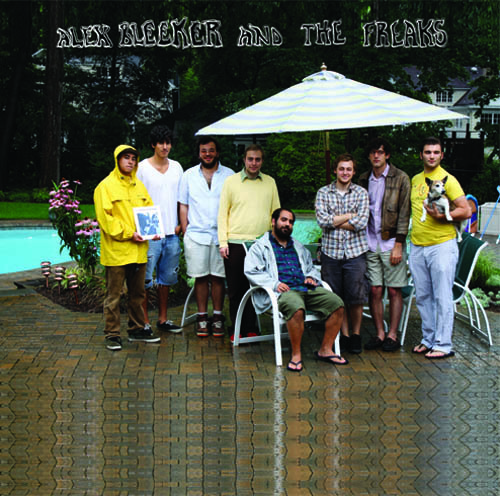 Alex Bleeker & the Freaks features three of the original Real Estate members, being Alex Bleeker, Matt Mondanile, and Martin Courtney IV. The fourth member of the band is no less known than the boys of Real Estate though. Although he is not in Real Estate, this talented young man is known more for his solo accomplishments before anything else, and that man is Julian Lynch. If you have yet to hear any of his solo material, please stop reading right now and follow this link HERE. This is the first track on the Underwater Peoples Summertime Showcase that came out this past summer, and what a perfect first track it is. But as for Alex Bleeker & the Freaks, these guys all left their other musical outfits at the door for this project, and put forth their efforts into one place and worked together. The result was this still fairly new 12″ record that was put out by the Underwater Peoples out of Washington D.C., and the record is kind of like a thesis statement for a band who seems to have much, much more for us up their sleeve. If you haven’t heard any of the music yet, it tends to be folky at times and bluesy at other times, but they never forget to bring forward the psychedelic elements that’s present in most of the band members other projects (Real Estate, Ducktails, Julian Lynch). Songs like the opening tracks “Summer” and “Epilogue”, as well as “Spring Jam”, and even the short but ridiculously sweet “Dead On” all feature this eye-opening psychedelic feel that I think most people would have a hard time denying how sweet it really is. As the description on the Underwater Peoples blog reads, this release was built solely on the love and passion for music, and that is crystal clear when listening to the record. As the description reads, these boys have all “channeled their romantic energies into an electrified musical powerhouse”, and what an electrified musical powerhouse it is. Have I mentioned that I absolutely love electrified musical powerhouses? If you love them too, then you really need to check out this record. You can still buy it from the Underwater Peoples website, but you better do it sooner than later, because they only pressed 1,000 copies of the LP. I myself will also say that it is a “special privilege” and quite an honor to have let these tunes flow into my ears, and to hopefully bring this wonderful bands music to your ears as well. Please do yourself a favor and BUY THIS RECORD! Thx! AB & the Freaks 12″ – BUY!!! 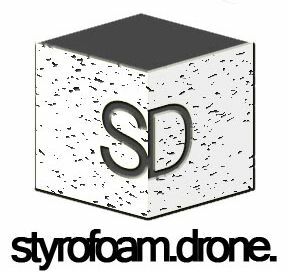 Posted on March 8, 2010 August 8, 2010 by styrofoamdronePosted in LP, ReviewsTagged blues, folk, psychedelic.